Year of construction: 17th c.
This manor house from 17th century has not been preserved. Properties of this manor were located in both sides of Riga - Moscow tract which was going through the inner yard of manor. Closer to Riga there was Krusta tavern, in the manor centre there were also numerous houosehold buildings, forge, and - manor house. In 17th century here has been shown cemetery. It is possible that the name of manor comes from cemetery - Krusts in Latvian is - cross. 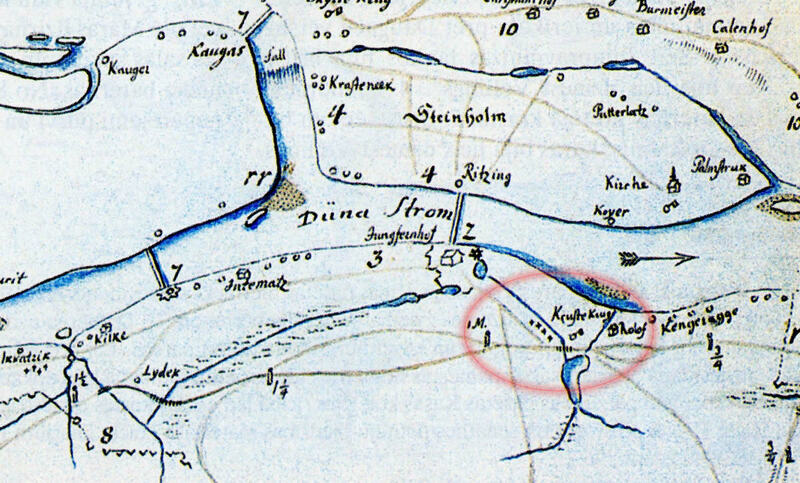 Another explanation - manor is at the junction - next to it in Daugava there was crossing and road was going towards it. In later times in the centre of manor there was established school, barracks. Villeruša V. Gājums, Rīga, Kabata, 1994, p.34. Broce J.K. Zīmējumi un apraksti, 2.sējums, Rīga, Zinātne, 1996, p.461.